Lacey Miszlak wanted nothing more than a home of her own, where she and her husband would raise their unborn child and make memories to cherish-a home life that she never had, growing up with a mother who could never stay in one place for long. When she first sees the house, she knows it’s the one. Despite the subtle discouragement from her real estate agent, Lacey will not back down, and finally the house is theirs. But Lacey is starting to see a little boy in the yard, in the kitchen, all over the house. And no one else can see him. When incidents start to frighten Lacey, and she ends up on bed rest, she calls upon her spiritualist mother to help her find out just what is happening in her house, before the worst happens to her, or her child….And events will take place that make any reader’s skin crawl…. 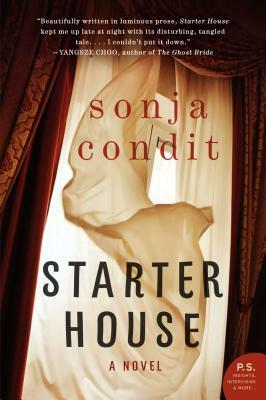 Starter House, by Sonja Condit, is a thriller with supernatural elements. If you like haunted house stories, you won’t want to miss this one, which will surprise you with a climax that will blow your mind. If you need a good scare, be sure to check it out! Ruby Rousseau dropped out of her all-girls university less than a year ago, and thought she would never have to look back. But one day, a suitcase was delivered to her by mistake-a suitcase belonging to a girl from her old dormitory, Beth Richards. She finds herself pulled into the mystery of a missing person, and forced to deal with the ghosts from her recent past, including a love affair with a Professor that went terribly wrong. The Butterfly Sister is a mystery novel with a distinctly feminine flair, and for those of you who love literature or poetry, the references to Sylvia Plath, Charlotte Perkins Gilman, Virginia Woolf, and other notable female literary geniuses (who were deeply disturbed) is a refreshing and intellectual pleasure, especially for a mystery novel. I will confess that I was probably the perfect reader for this novel, being interested in tragic literary figures, feminism, and also being an avid mystery reader. This novel may not be for readers who do not share my interests. 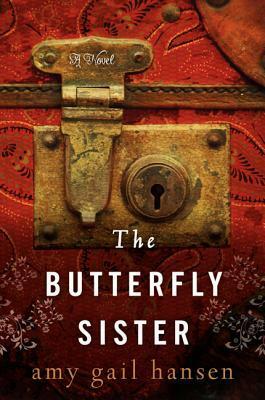 But if you do, you do not want to miss The Butterfly Sister, by Amy Gail Hansen. Libby has what every woman wants. She has her career, she has her perfectly wonderful husband Jack, a beautiful home…She is the luckiest woman alive. Until they are in a horrible car accident and everything begins to fall apart around her. She stumbles upon a notebook, the diary of Jack’s late wife, Eve, who died mysteriously a few years back. Libby is starting to question everything in her perfect life, and Eve seems to be everywhere. In the walls, sitting on the furniture, in the wine cellar…Libby must recover from her accident in a home where she feels like a guest, suddenly…And what really happened to Eve? Jack won’t talk about it much, and he still screams Eve’s name in his sleep at night. Can you be with someone who still loves someone else with his whole heart? Is it enough to love him and get respect and consideration in return? Then a nosy police officer keeps poking around the house, harassing the couple. Libby must decide what is happening and what she is going to do…And the climax of this novel will completely blow readers away. 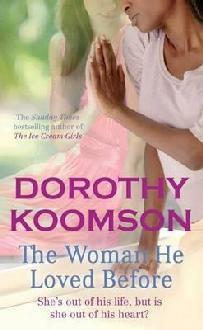 Readers who liked “Gone Girl” will love The Woman He Loved Before, by Dorothy Koomson. This novel will keep readers on the edge of their seats all the way until the end, and the ending is nothing you would EVER expect-take my word for it. 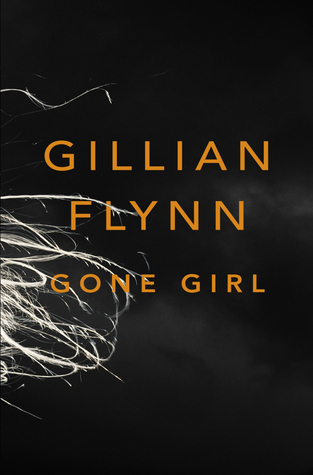 The audiobook version of the novel, by Hachette audio, is brilliantly narrated and a terrific choice for your next road trip…If you can handle it. Two women decided to risk their lives to serve Great Britain in effort to end World War II. One is a pilot, the other is an agent specializing in espionage. Proving themselves in a man’s world is the least of the problems these ladies face: one night, during a mission, the plane is shot down and the women are separated beyond enemy lines. One of them is brought into SS custody and placed in a makeshift prison to be tortured for information and held until she can be “dealt with”. The other goes into hiding with a solid plan : find her friend, rescue her, and get the hell out of France. The situation is very, very dire…But the operation is not hopeless. These amazing women cannot be stopped, and the power of friendship is an impenetrable force. Secret codes, secret operations, espionage, targeting rogue enemy operators, and the strength of two remarkable women fill the pages of Code Name Verity, by Elizabeth Wein. If you liked reading The Hunger Games trilogy, you are likely to enjoy this novel. Reality is harsh, but inner strength and the power of love drive the heroines through the wreckage. If you can’t handle some allusion to POW torture techniques, however, I recommend you avoid this one. 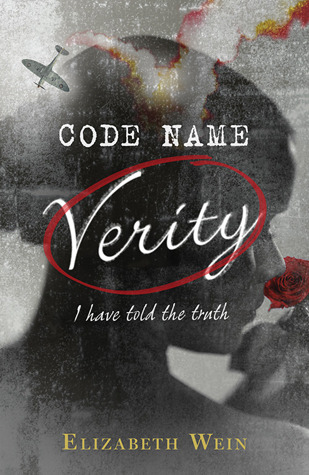 Code Name Verity is considered a Teen novel, but is very adult in nature. If you love espionage, especially with strong heroines, you won’t want to miss this one. Is the house haunted, or is Dr. Sam Hatch haunted by his past? But things are happening in the house. His things are moving around, disappearing and re-appearing in new places. 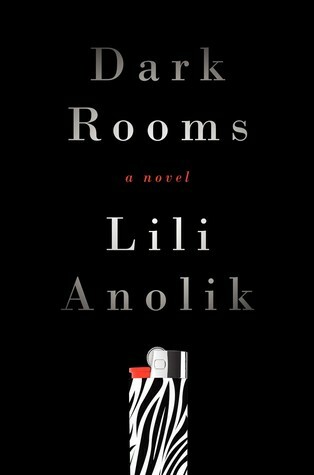 He hears phantom noises, and as he renovates rooms, he is finding reminders of his old life under the floorboards, in the ceilings, in the closets… Is he losing his mind? Is the house trying to tell him something? If so, what does it mean to communicate? Dr. Hatch is trying to follow the horrific clues, but his sanity seems to be slipping away with each little discovery. How will the story conclude? 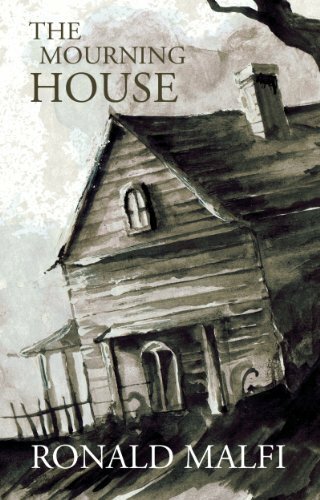 If you like haunted house stories like The Haunting of Hill House by Shirley Jackson, Hell House by Richard Matheson, The Birthing House by Christopher Ransom, you will enjoy The Mourning House, by Ronald Malfi, which is creepy and leaves the reader guessing until the end. Forensic Anthropologist Temperance Brennan is back with the 15th installment in the Temperance Brennan series by Kathy Reichs, which many of you already know has been in the inspiration for the television series called Bones. This novel explores Canadian Diamond mining, the underworld of drug dealing and prostitution, and a lineup of dead babies that will leave you in shock and dying to find out what really happened. A simple-minded woman disappears, leaving a dead baby in her apartment, and Temperance and the investigators who make up her usual team have set out to find the woman before the bad guys get to her first…Or perhaps before they realize Temperance is sniffing around and decide to take her out of the equation. The novels of this series are full of interesting facts and very well-researched, each novel takes Temperance into a new avenue of crime and corruption, bouncing around between Canada and the U.S. and even venturing overseas on occasion. 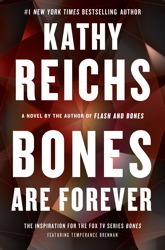 If you like forensic science, you will love this series, and if you have read other novels in the Temperance Brennan series, Bones are Forever will not disappoint. Dr. Erin Granger is an archaeologist working on a dig in Israel who gets called in by the Israeli government to help out with a high-priority archaelogical find that has the potential to be very dangerous. The the extent of that danger, however is greater than she ever could have expected. An ancient church order is on a mission to recover an ancient artifact that may have the power to ruin the world, and they can’t do it without her help. Doesn’t sound too bad until she realizes that every supernatural creature seems just as intent on recovering the artifact, which is proclaimed to be the Gospel of Christ, written in his own hand, in his own blood. Suddenly she is thrown into a world of vampires (good and evil), grimwolves, and various other supernatural creatures she once thought the stuff of mythology. 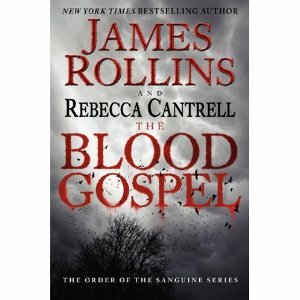 The Blood Gospel, by James Rollins and Rebecca Cantrell, is a combination of genres that will make readers go wild. The suspense and history of The DaVinci Code meet with the paranormal, bringing vampires and other supernatural creatures into the world of the bible and Christian history, and the secret operations of the Nazis to hoard ancient artifacts and priceless collectibles are sprinkled on the top, just to give it a little flavor. If you love paranormal fiction, intelligent historical novels, archaeology, religious history, or any combination of the above, the Order of the Sanguines Series, of thich The Blood Gospel is the first, is a must-read. Set in the wilderness of Vermont, Sheriff Ray Lackner has been noticing some very strange happenings. People have disappeared, folks have reported mysterious sightings of wild dogs and a Native American man out in the wilderness, his wife has been acting strange lately, and what first appeared to be a snowmobile accident has actually turned out to be a murder in the middle of a blizzard. Ray and his deputy are set on figuring out just what the hell is happening in the quiet town they call home. When a corporate cover-up with serious environmental and health implications may somehow be involved in the series of events to follow, which include several deaths and attacks, some involving arrows, and the people of the town are happy to blame Native American gang activity for the crimes around the town, it’s time for the slightly corrupt but truth-seeking Sheriff to pull out the “big guns” and put his life on the line. Luckily a “detective” from Montreal shows up and gives him some much-needed information-but what is his angle, and is he who he says he is? Is he playing the good Sheriff to benefit himself somehow? If you like Kathy Reichs novels, I think that you should give Peter Anthony Blush a try. The characters are rich and flawed, and you won’t be able to put the book down. I would love to see this one become a movie, and I don’t say that often. Boreal Dreams is available on amazon.com. Check it out! Pick it up on Amazon.com today!